The DataCal Austrian (German) language keyboard labels are a high-quality, durable and economical solution for creating an Austrian (German) bilingual keyboard. The Austrian (German) keyboard labels conform to the Austrian (German) keyboard layout in Windows. 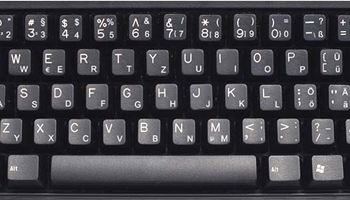 The Austrian (German) keyboard labels support the keyboard layouts in German (Germany), German (Austria),German (Liechtenstein).